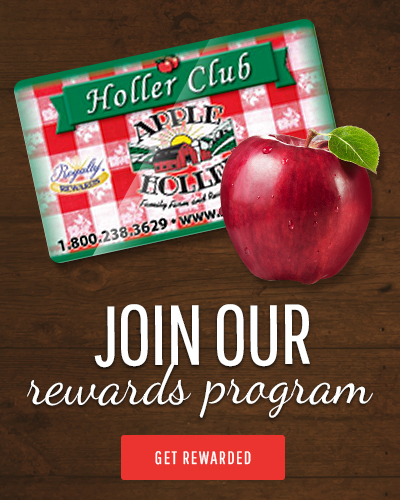 We’re glad you are visiting us here at Apple Holler! Here are some visitor guidelines to help you make the most of your visit. Our orchards are non-smoking, no tobacco facilities. This includes electronic/vapor cigarettes and chewing tobacco. Smoking is not permitted ANYWHERE on our property. Yes, this includes parking lots and all outdoor areas! No outside alcohol is permitted on our property. You may purchase wine and beer to consume at Apple Holler from the Gift Shop or other kiosks on our property. 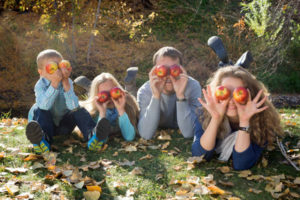 The orchard is private property; all grounds, buildings, and roads are open to the public only during our posted hours. Dress properly! 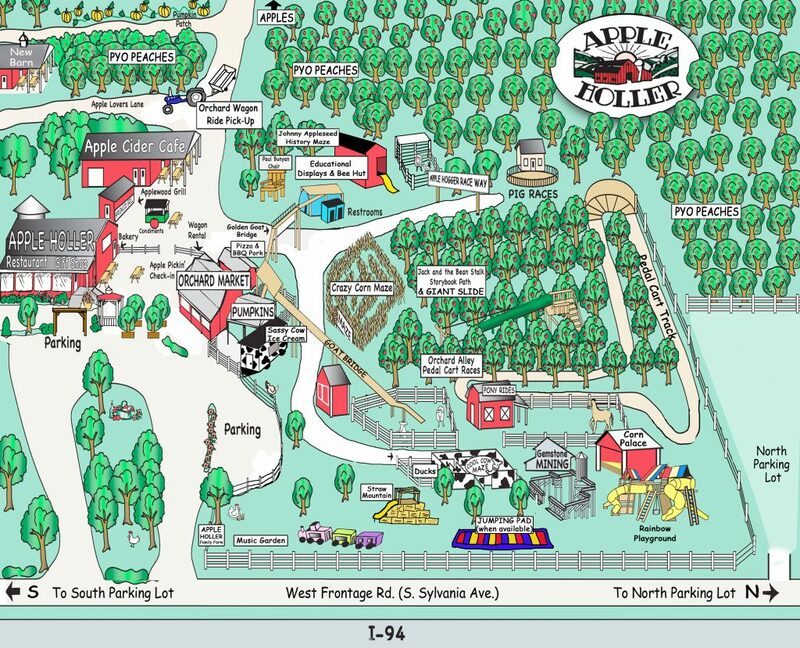 Apple Holler is a working farm, and the ground can be uneven. Depending on the weather, it may be dusty, muddy, slick, etc. Proper footwear is important, close-toed shoes are recommended. Help us keep our orchards clean and safe. Trash cans are provided; please put litter in its proper place. We love dogs too, but we recommend leaving your pets at home. We often have large crowds; some pets don’t do well around strangers and keep in mind that while many people love pets, many also do not. Do not leave your pet in the car. Keeping in mind the safety and well-being of your pet, it’s best to leave him/her at home because we do not allow them here at Apple Holler. You are responsible for paying for everything you and your family pick. Please stay clear of tractors, farm equipment, or any other moving vehicles. To pick an apple, using one hand to hold the branch, use your forefinger and thumb to gently turn fruit upward till it releases. (Pulling will cause other fruit to fall and destroy flower buds for next year’s crop). A person who observes or participates in an agricultural tourism activity on this property assumes the risks inherent in agricultural tourism activity. Risks inherent in the agricultural tourism activity may include conditions on the land, the unpredictable behavior of farm animals, the ordinary dangers associated with equipment used in farming operations, and the potential that a participant in the agricultural tourism activity may act in a negligent way that may contribute to injury or death. The agricultural tourism provider is not liable for the injury or death of a person involved in an agricultural tourism activity resulting from those inherent risks.